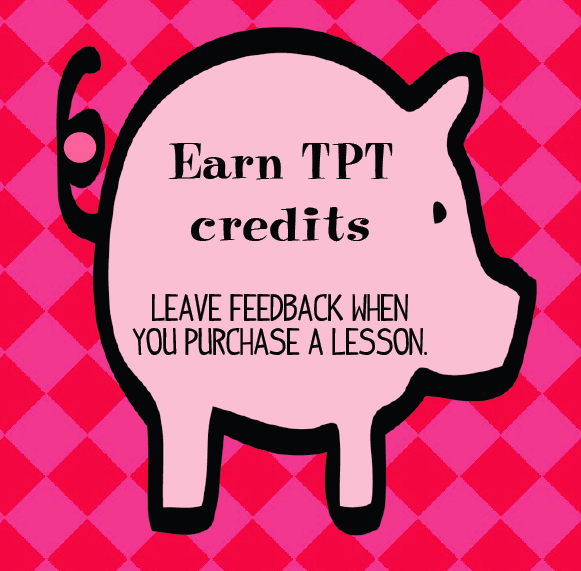 Are you earning all your TPT credits? 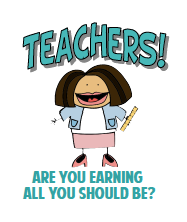 Teachers Pay Teachers has this great benefit that all shoppers should know about. It reminds me of a frequent flyer program, only in this case it’s a frequent shopper program. Earn TpT Credits for purchases on TpT. You get one TpT Credit for every $ you spend on TpT. Thing is, you only get the Credits after you Provide Feedback–both a fair rating and a fair comment–on the items that you purchase. We will round up for you, too! If you provide fair feedback on a $4.75 item, you will earn 5 credits. Every 100 Credits is worth $5 that you can apply towards future TpT purchases, but there is no need to wait until you have 100 to redeem them. 50 credits is worth $2.50, for example. I am both a shopper at TPT and a seller. I went through my record of sales today to see what percentage of buyers leave feedback. It turns out 51% of the people who purchased my lessons left feedback. What this really means is 49% of my buyers have missed out on an opportunity to earn TPT credits. To me, that’s like money just waiting to be spent – I know it’s not exactly like that – but close enough! My buyers help me, so I want to give some suggestions to help you, so you won’t be part of the 49%. 1. Leave a comment at the time of purchase. It can be something as simple as “Thank you, this should help my class.” I realize you haven’t used the lessons yet so you can’t tell other buyers how you used it with your class. But, you can add to your feedback later by clicking on the “edit” button. 2. Get into the habit! Although the credits only count for the lessons you purchase, get into the habit by leaving a comment when you download free lessons. I checked the percentages for my free lessons, too. Many of my freebies have been downloaded 1,000+ times but only 3-5 people left a comment for each lesson. Hint! Sellers are much more motivated to make more FREE lessons when you show them your appreciation with positive feedback. 3. If you are a teacher who wants to teach the lessons before you leave a comment, mark your calendar so you don’t forget. 4. Another tip is to set a date each month such as the first day of the month when you go back and leave feedback for all of the lessons you purchased the month before. Go earn the credits you deserve! Leave comments for all of the lessons you’ve purchased. You might be surprised at all of the credits you’ve earned. You know what that means, right? Time for more shopping! I have one more suggestion to help my TPT buyers. Check your downloads folder from time to time. When I revise lessons, I click on a “revised button” that allows you to get the new and improved version for free. Just like teachers are reflective about their teaching practices, I try to be a reflective when writing lessons. The only way my buyers know about this is: check download folder, follow my blog, or read the newsletter that I send to your TPT mailbox. Great post! I didn't realize I could go back to my purchases to see if any of them had been revised. I had 2! Thanks so much for the information! Great post! Another reason to leave feedback on freebies…I have to wonder if it was a good freebie unless you tell me so. If I don't know I may be hesitant to have more freebies if I don't think they aren't beneficial to anyone (or just a few people). Let me know what you love & I'll do my best to make more! Thanks for posting! Wow!!! Thank you for the great post. I'm going back now to earn my credits. Great post, I'm pinning and FB you!! ♥Love, ♥love, ♥love the pig graphic! What a GREAT idea for a post, Michelle! Plus, the pig is truly adorable! I already follow your blog!! What a great giveaway!! I'm your newest follower and I think this is a great post!